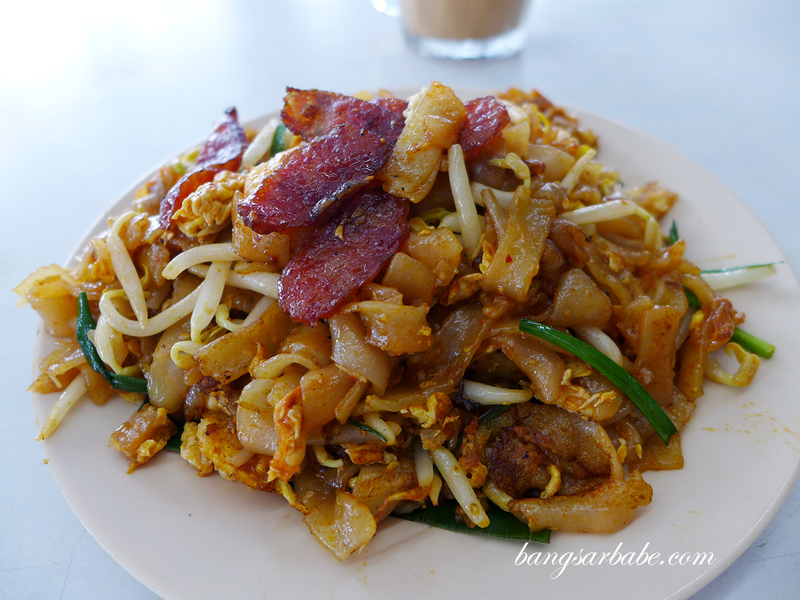 I’ve been huge fan of Robert Char Kuay Teow ever since I first tried it in 2007. That was in Say Huat Coffeeshop, Section 17 and it has become my regular char kuay teow spot ever since. 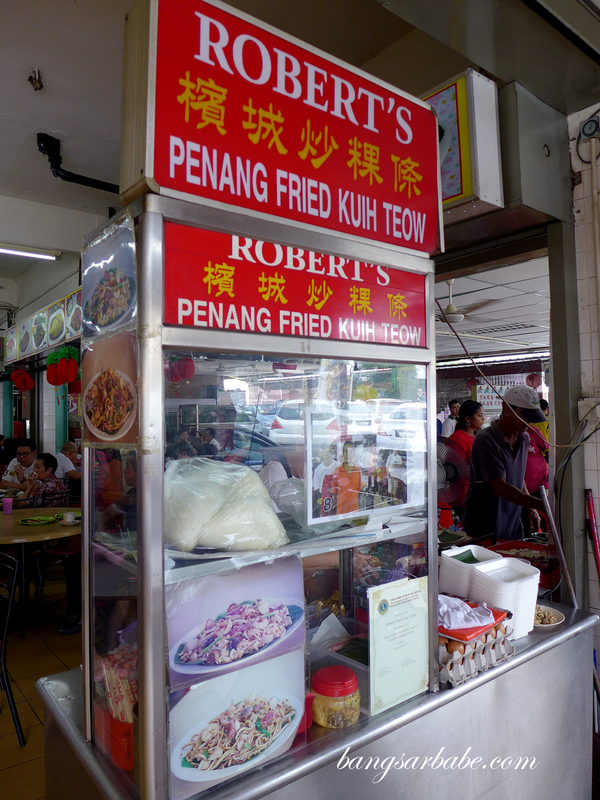 rif and I were around the neighbourhood when we saw another Robert Char Kuay Teow stall at Restoran Golden Kim Wah in Damansara Kim. We knew immediately that this was going to be our lunch venue. The queue is long during peak hours and once you place an order, you’re given a number to place on your table. Waiting time averages between 15 minutes to half an hour, depending on the crowd. We got our char kuay teow after half an hour. 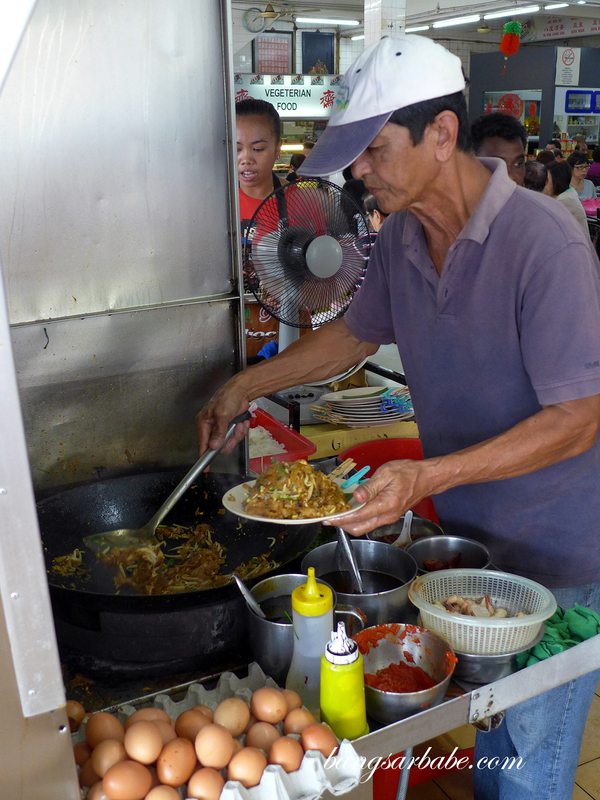 From the article displayed at the stall, I learnt that the guy manning Robert Char Kuay Teow is actually Robert’s brother in-law, Ah Chu. Robert himself is based in Golden Kim Wah, and I guess I was lucky that he did the cooking that afternoon. The char kuay teow looked delicious, served on a banana leaf and with slivers of lap cheong, cockles and pork lard bits. Tastewise, I found this fairly decent but I still prefer the one from Say Huat. 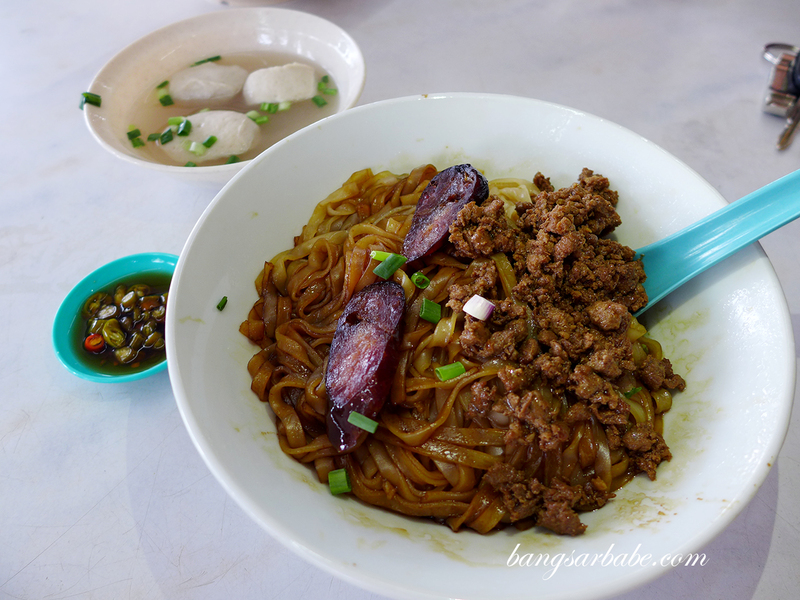 The latter has a better char flavour and the lap cheong slices are crispier. Not sure if it’s due to the large crowd, but this one didn’t have enough wok hei so it wasn’t as aromatic as I liked it to be. That said, Robert was pretty generous with the lap cheong and cockles, so those added flavour to the noodles. 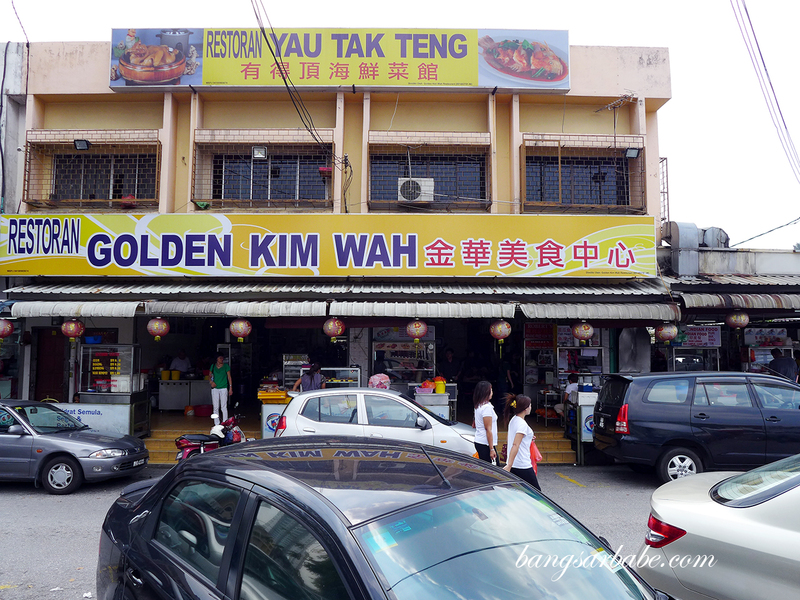 While waiting for the char kuay teow, we tried the pork ball noodles and also the curry laksa – both seemed quite popular with the lunch crowd at Golden Kim Wah. 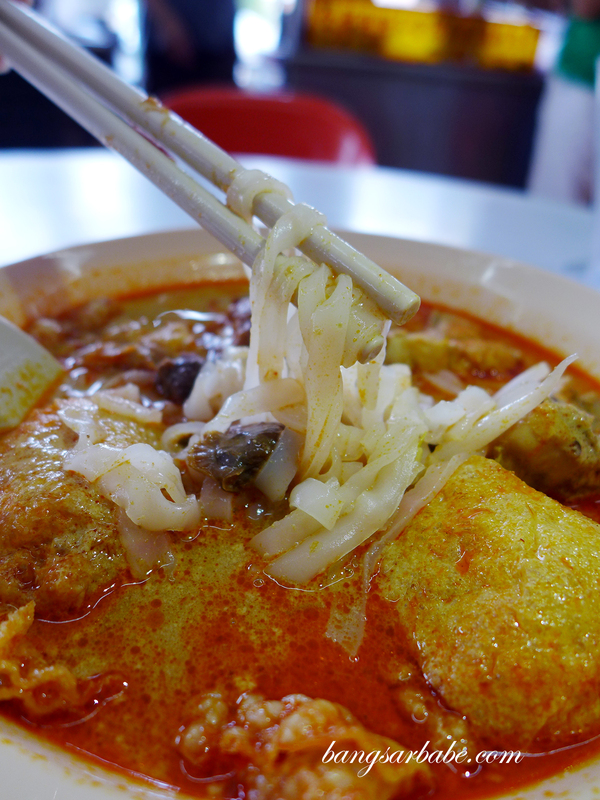 I thought the curry laksa was not too bad. 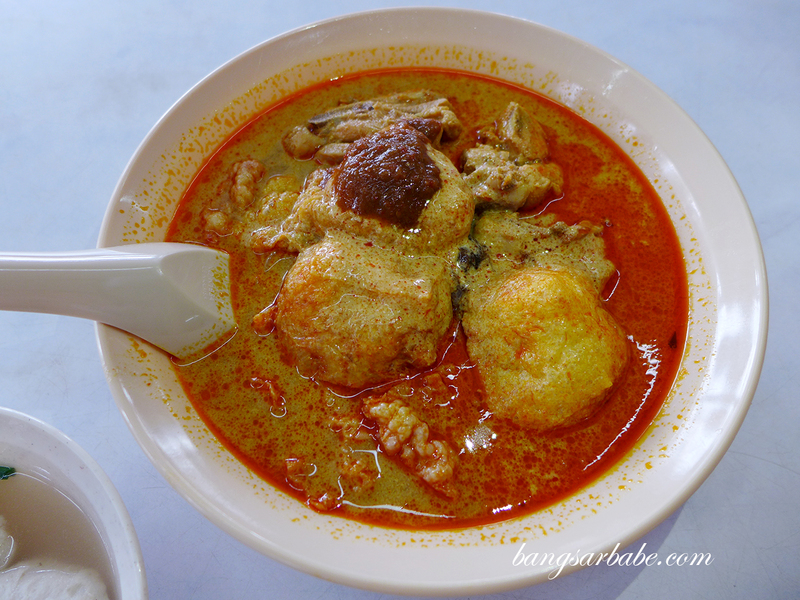 The broth was adequately thick and rich with enough spiciness to tickle the tastebuds. It came with tender pieces of tofu puffs, curry chicken and cockles. I didn’t care much for the pork ball noodles though. 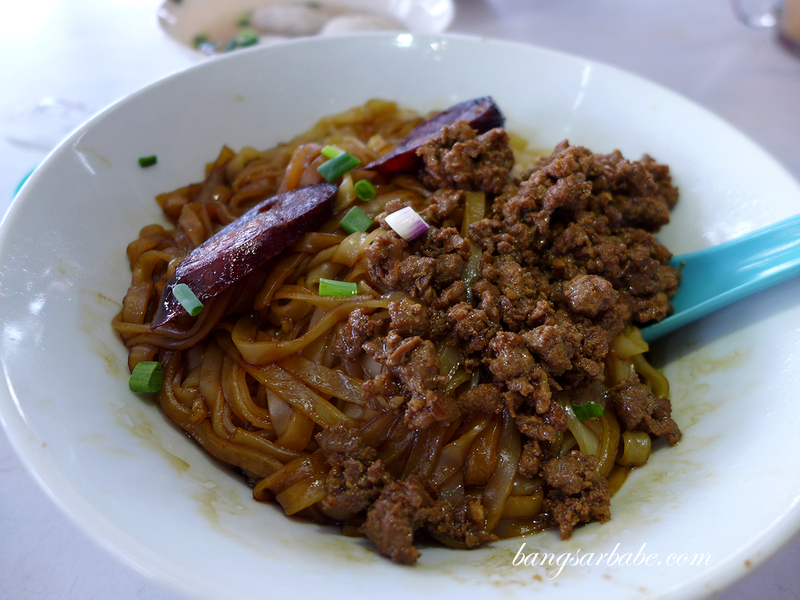 The dry version lacked flavour and had to be eaten with chopped cili padi and soy sauce. 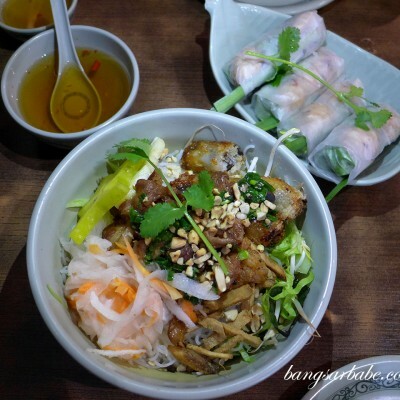 I did like the liver sausage it came with – savoury, slightly pungent and very addictive. Good thing they gave me two large slices. All in, I thought lunch was pretty good. While I would still go back to Say Huat or Frankie for my char kuay teow fix, it’s good to discover new places every now and then. 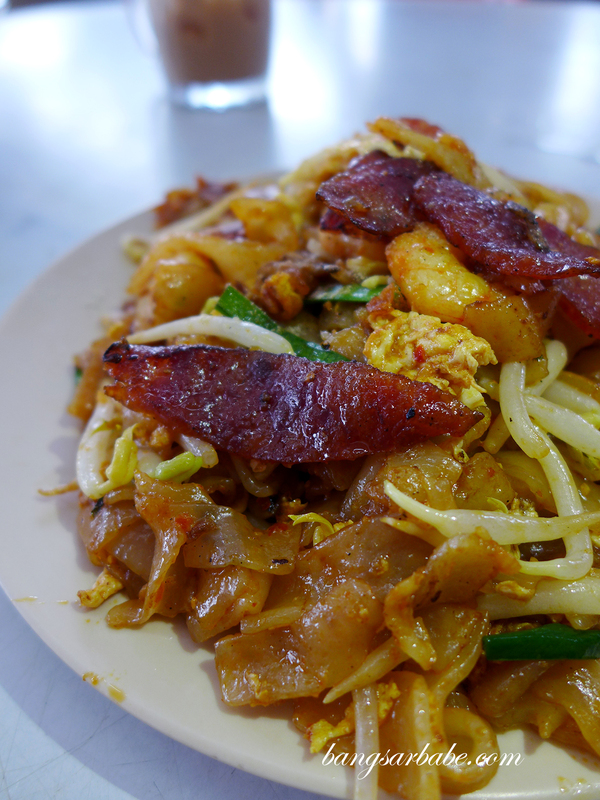 Verdict: While the char kuay teow is decent, I would still go back to Robert at Say Huat. Good variety of stalls though. He’s not there very often. 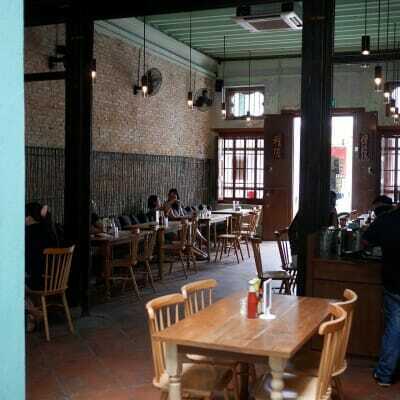 Apart from him, if the cook is the aunty or the Indonesian maid, don’t order the CKT.